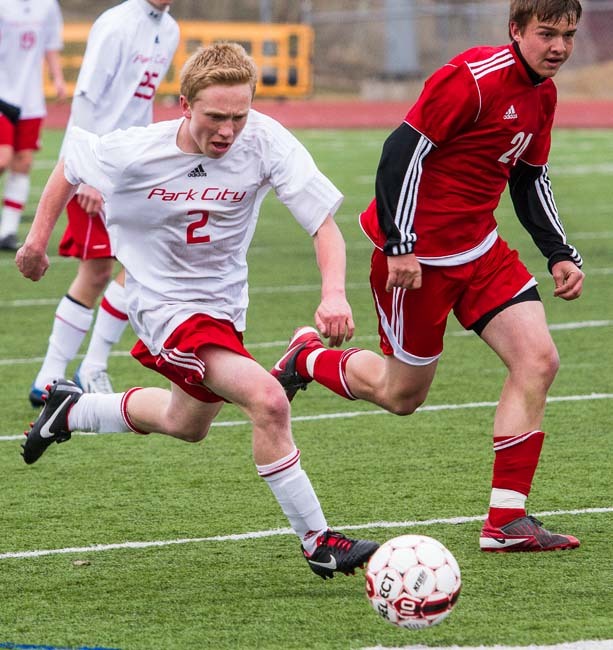 Wednesday’s cold, rainy conditions didn’t slow down the Park City High School boys’ soccer team. Only 10 minutes into the game, the Miners found the back of the net to take a 1-0 lead. They didn’t look back, scoring four straight goals en route to a 4-2 victory over the Uintah Utes at Dozier Field. The opening goal was scored by sophomore Gunner Stray-Gundersen. After a 50-yard free kick by senior Garrett Bullough hit the crossbar, the ball bounced to Gundersen, who easily beat the keeper. He’d add a second goal 15 minutes later, putting the Miners in complete control of the game. "He’s been wanting to step up this year," coach Jesse Blais said of Gundersen. "He’s shown me that he’s eager and he plays hard. He doesn’t back down." Bullough scored a goal of his own with slightly more than one minute left in the first half, off another free kick. Taking the kick from just outside the right of the goal box, Bullough unleashed a bullet that sneaked into the top right corner of the goal. Blais said Bullough’s free-kick skills have been a big part of the Miners’ success. "That’s one of his strongest points and I try to use it the best I can," he said. "Today, it worked." Six minutes into the second half, Garrett Magie scored for the Miners, finishing off a near-perfect corner kick from Alejandro Vieyra. Then, with a 4-0 lead, Park City took its foot off the gas pedal, allowing the Utes to score a couple late goals to close the gap to 4-2. Despite the win by the Miners, Blais said he would have liked to see more intensity from his team. 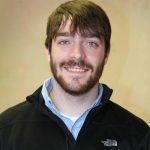 "I was kind of disappointed in the effort the whole game, even though we did score some goals early," he said. But with a rivalry game against Wasatch scheduled on Friday (after this issue went to press), he said he didn’t expect effort issues to continue. "They’ll be ready for that one," he said. "If they’re not, there’s something wrong with them chemically." He added that the Miners should be competitive if they are smart with the ball and play the way they’re capable of playing. "Hopefully we can bring some composure and put away our rivals," he said. "Defending them will be key; they know how to score goals." Park City (3-1-1, 2-0 in Region 10) will be back in action on Wednesday against Region 10 opponent Union at Union High School.